RAMMblings exists so that horse owners have one place to research and read industry tips and helpful suggestions aimed at letting you spend more time with your horses. We owe it to our horses to never stop learning about the best ways to care for them. Check out our Blog for timely articles. You will find informative articles to help you with your farm and horses. The articles page looks at all aspects of owning horses, and there are many varied articles on everything from Horse Ownership to Finding the Right Help for Your Barn! 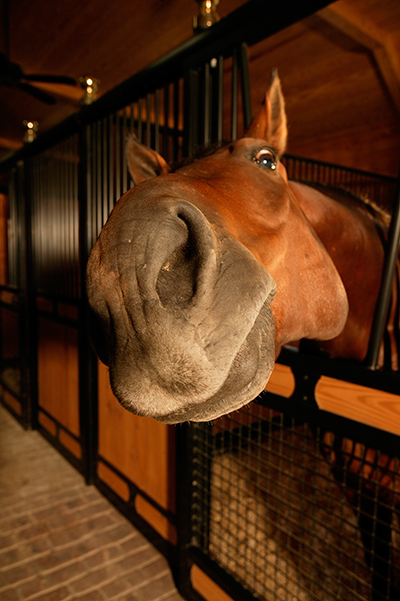 If it's about horses, you will undoubtedly find an article about it within our articles library! If you have a product or horse question and would like to talk, click on “Ask Debbie” and Debbie Disbrow, founder and President of RAMM will personally email you with ideas and answers for your particular project. In this resource center, you will also find a section of FAQs. These are some of the most frequently asked questions we receive. In our Testimonials page, you can see a small sample of the many customer comments that we have received over the years. These compliments and testimonials are the words and thoughts of our customers only - they remain unedited. Did you know RAMM has been featured numerous times in National and Regional publications? You can see some of our most recent newspaper and magazine articles in our News Room. By the way, if you're interested in our FREE monthly e-Newsletter, you can subscribe to receive your monthly edition, or you can contact our offices directly. You will receive informative articles on horses, farm layouts, and barn building ideas as well as new products and specials. If you are ready to receive our printed catalog, why not Request a Catalog to be mailed to you? If you are ready to get started with your dream farm or barn project right now, call 1-800-434-8456 and ask to speak to any of our knowledgeable Account Managers. They'll walk you through every step of the process and they'll get you on the way to completing that project!